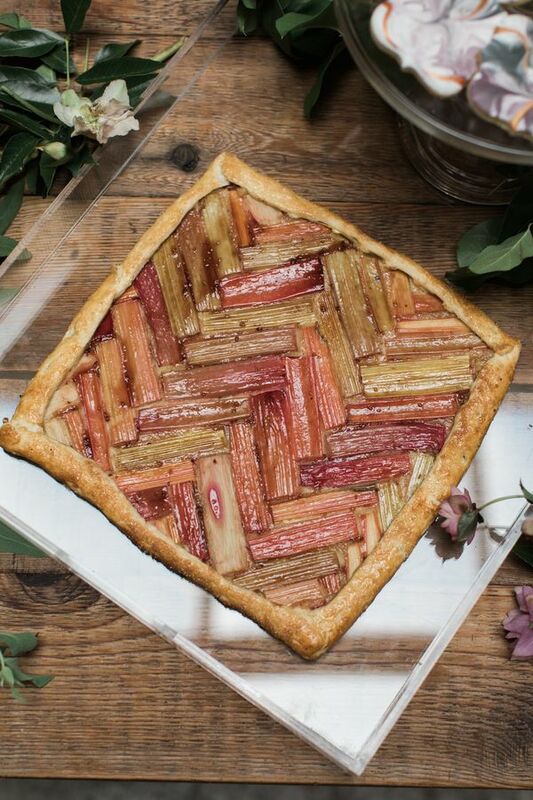 Raise your hand if you're still reeling from all of the food and festivities from Thanksgiving. 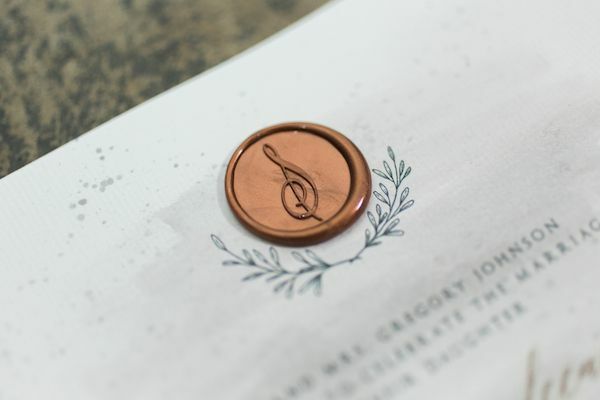 We know we are! 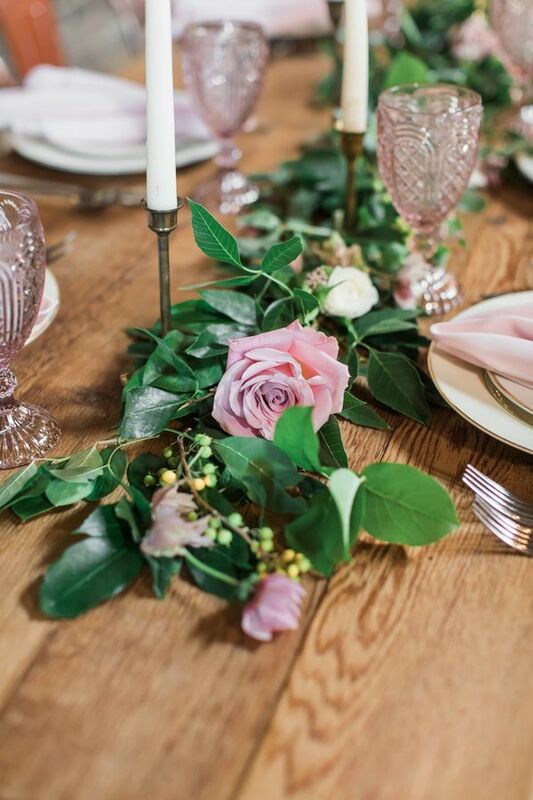 Since we're all happily in the same boat, don't move a muscle and stay where you are to fully soak up this blush-and-mauve beauty. 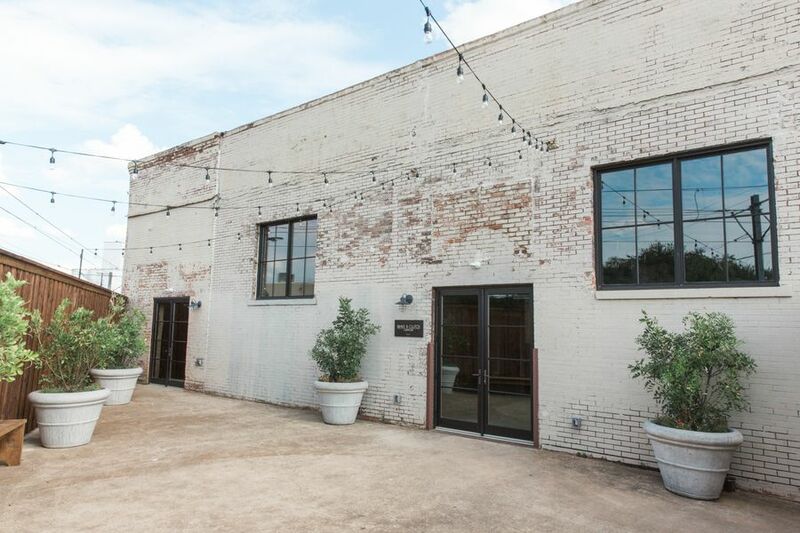 It's set in a Dallas warehouse, and it is the most picturesque blend of contemporary elements with swoon-inducing whimsical details. 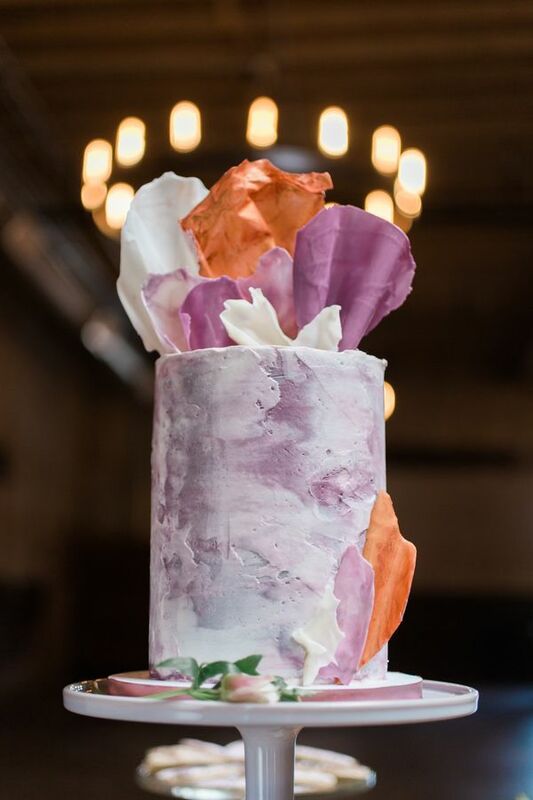 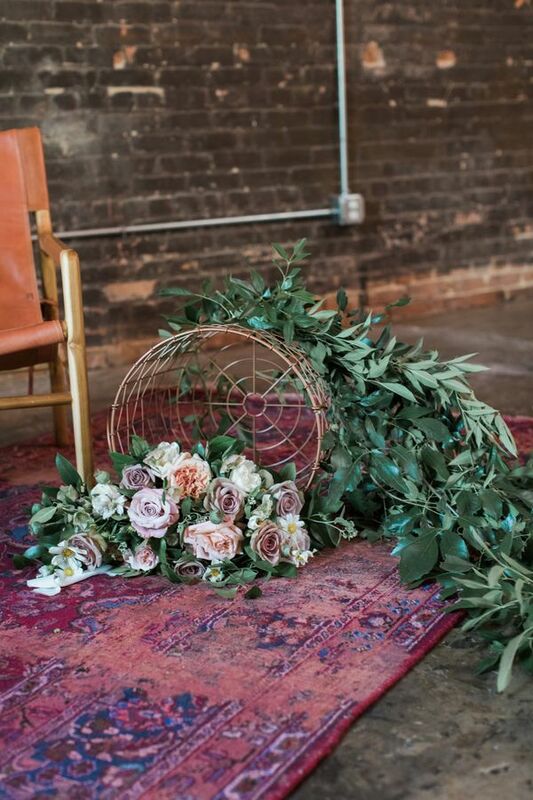 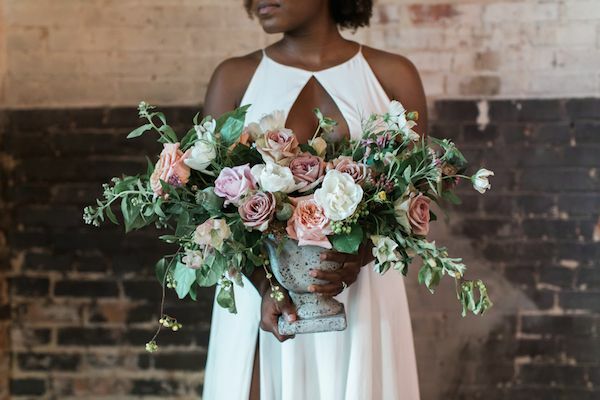 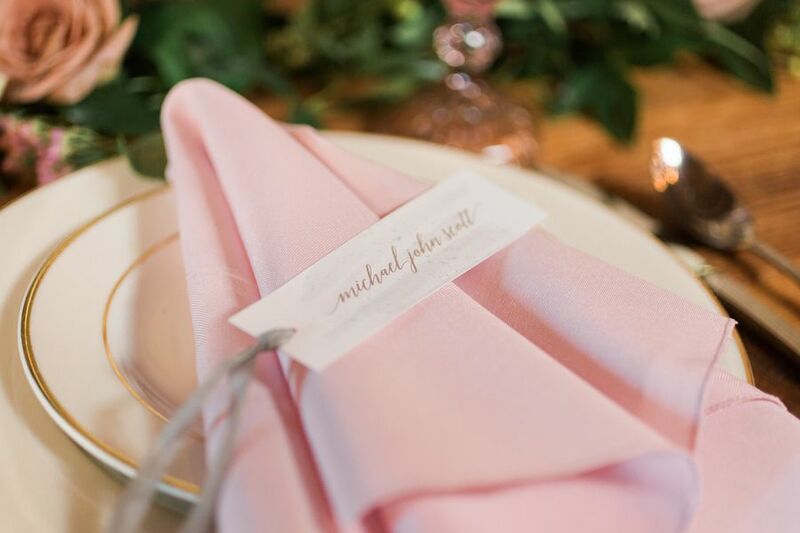 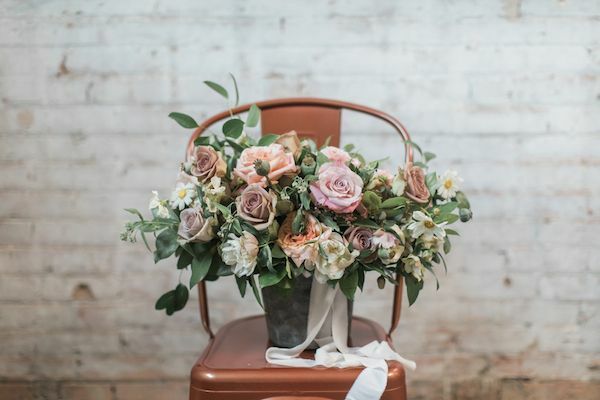 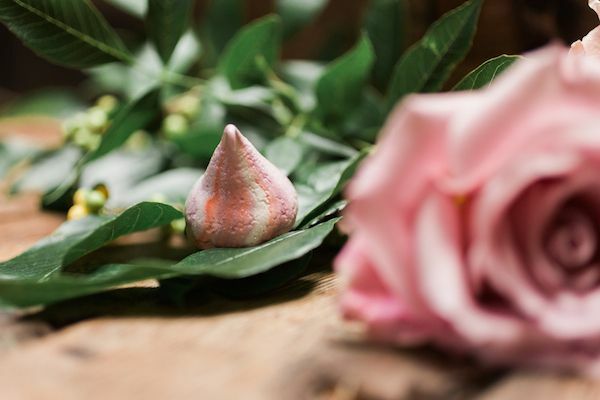 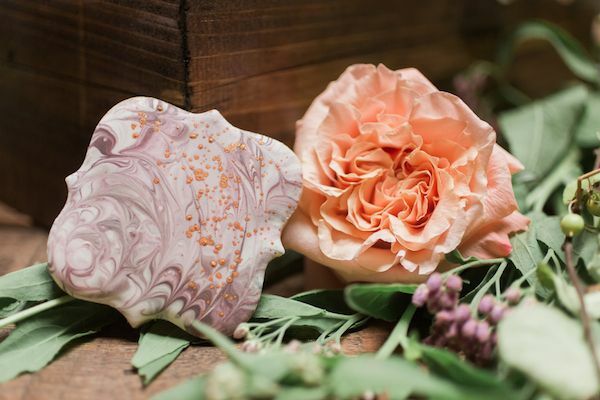 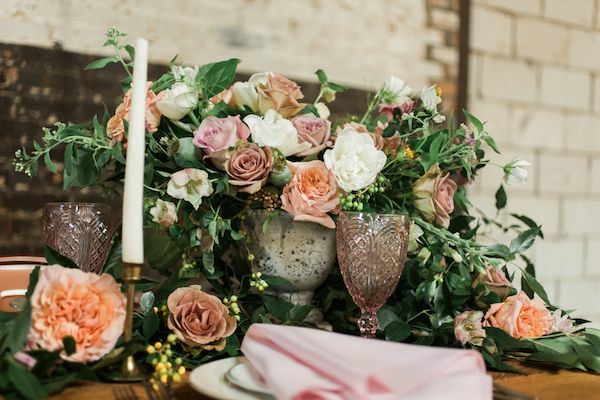 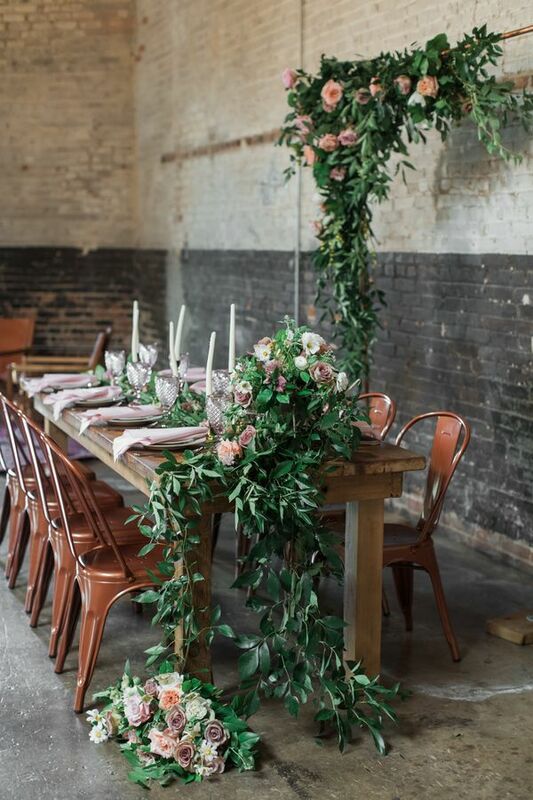 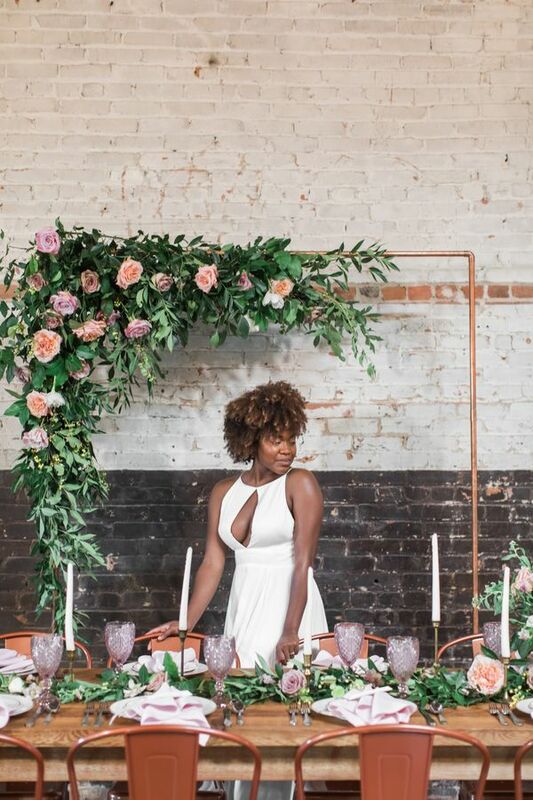 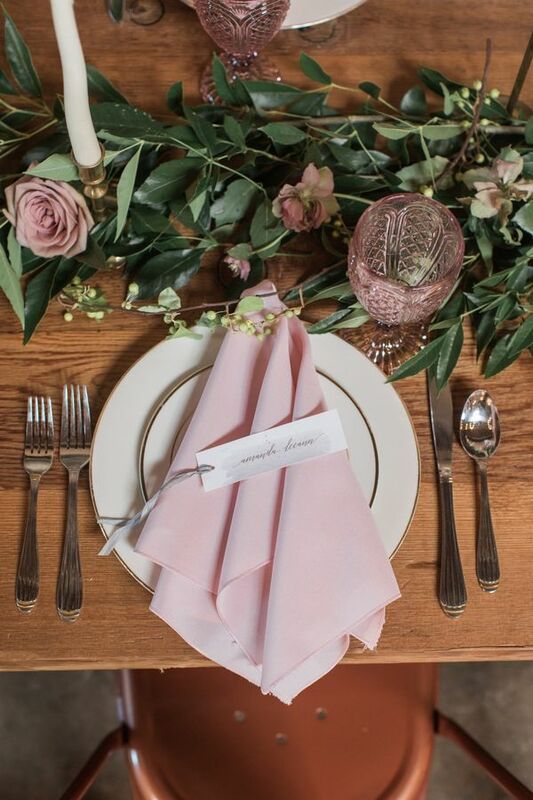 Melissa Claire Photography was there to capture all of the magic from her camera lens and boy, did she not disappoint in photographing all of Cloud Creative Events styling skills or Vella Nest's pretty-in-pastels florals (aren't those the most delicious colors?!). 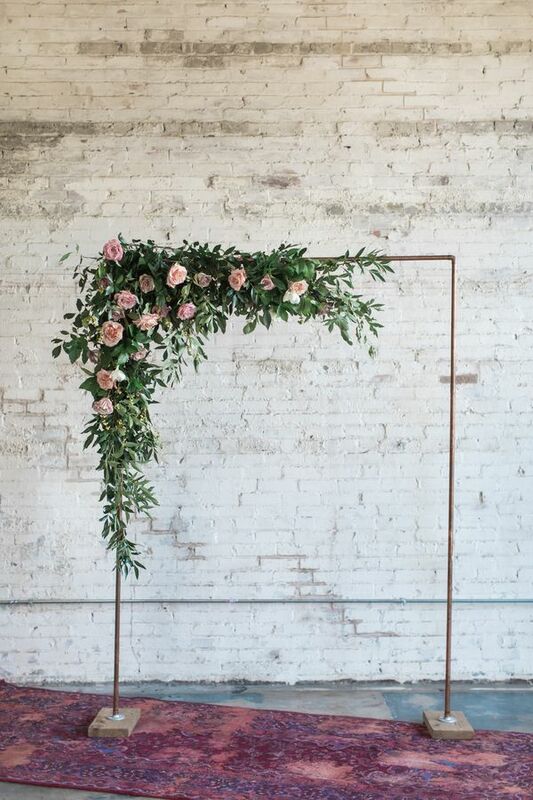 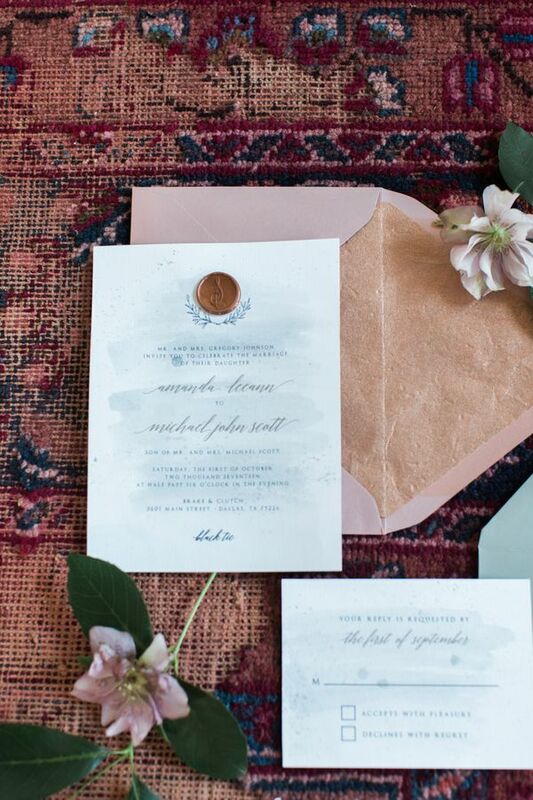 For sure, this stylish wedding inspiration is a must-see and must-pin. 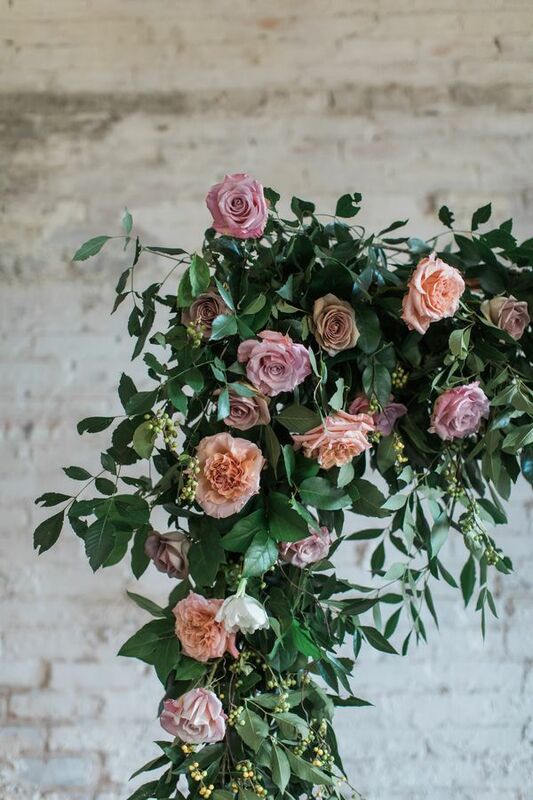 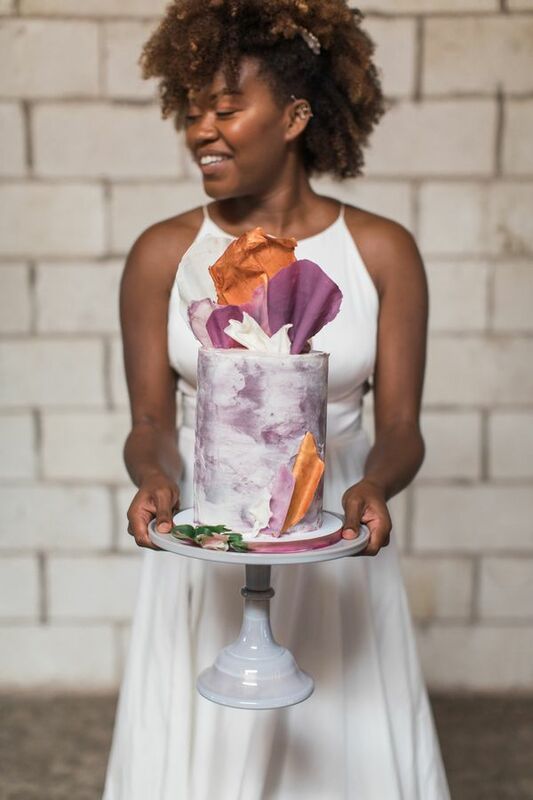 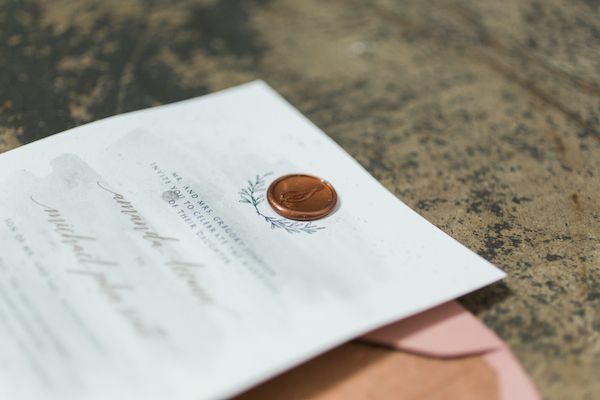 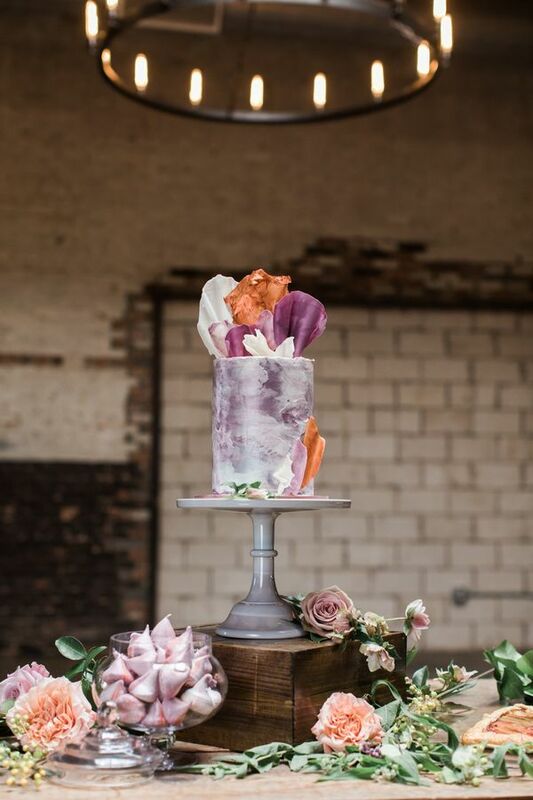 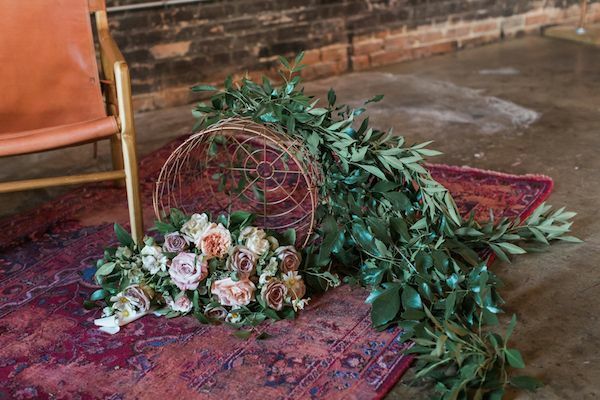 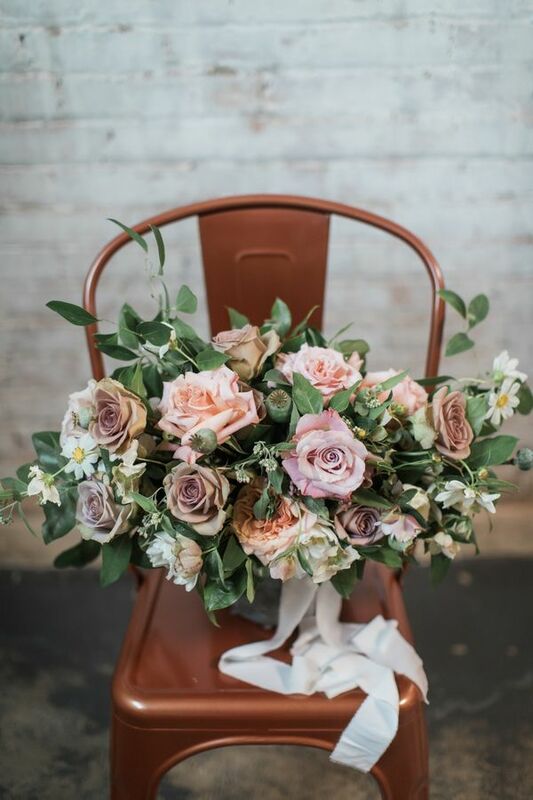 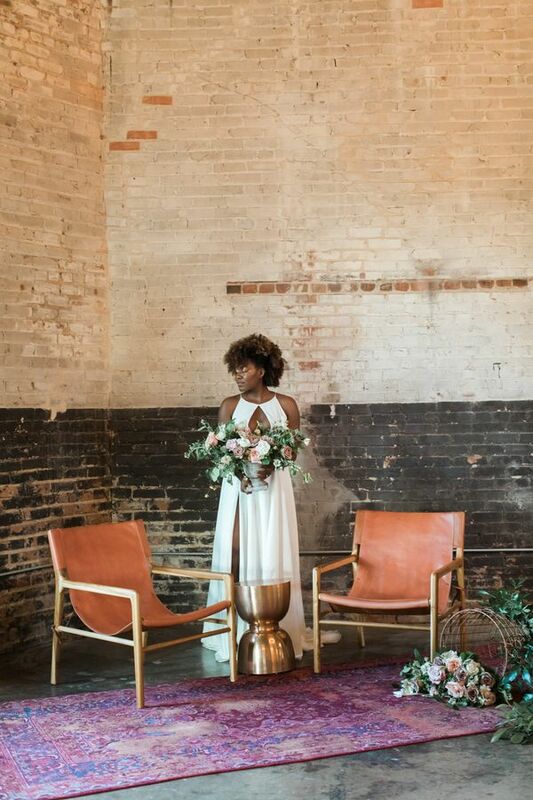 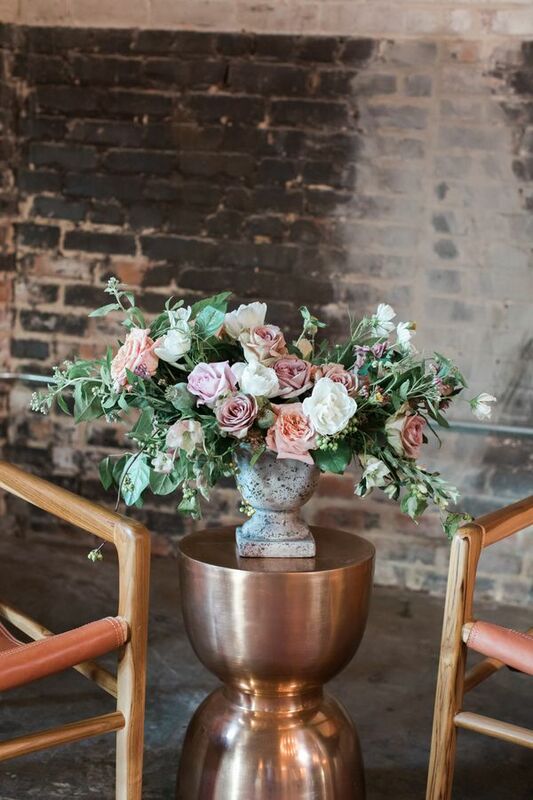 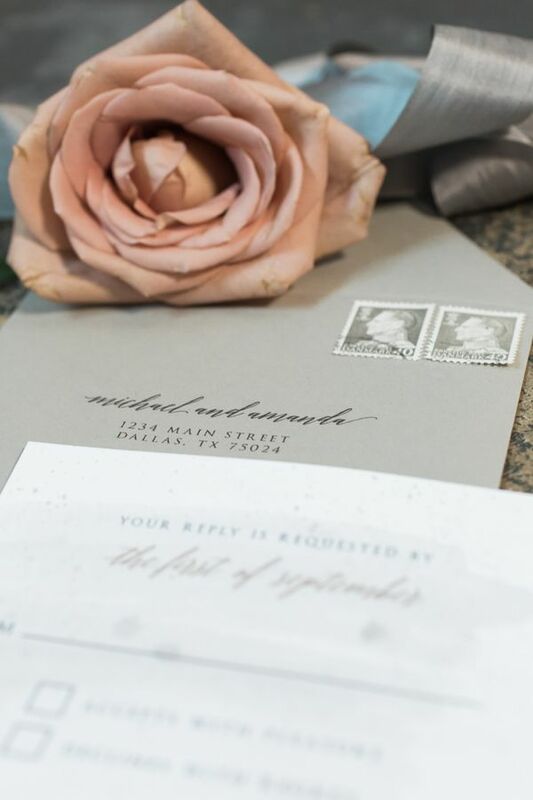 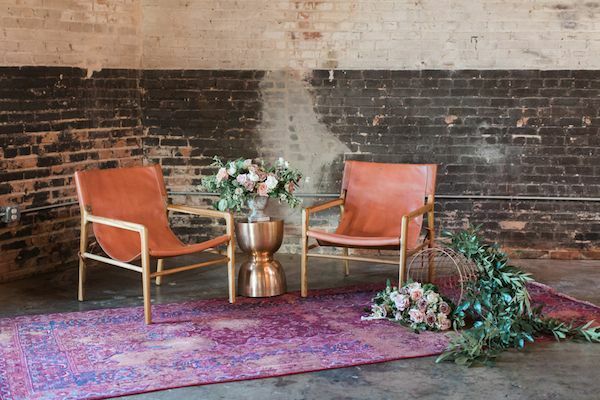 From the photographer, "Our inspiration for this shoot was modern minimalism with a unique color palette of mauve and copper to usher in the fall wedding season in Texas." 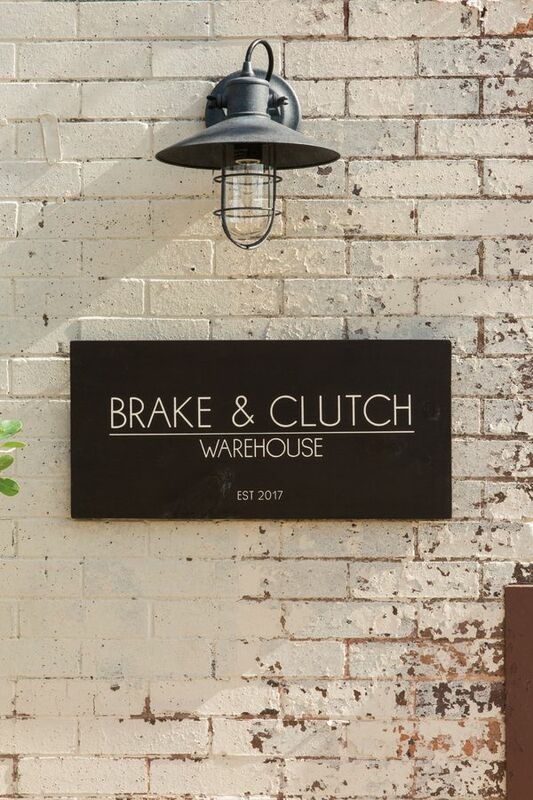 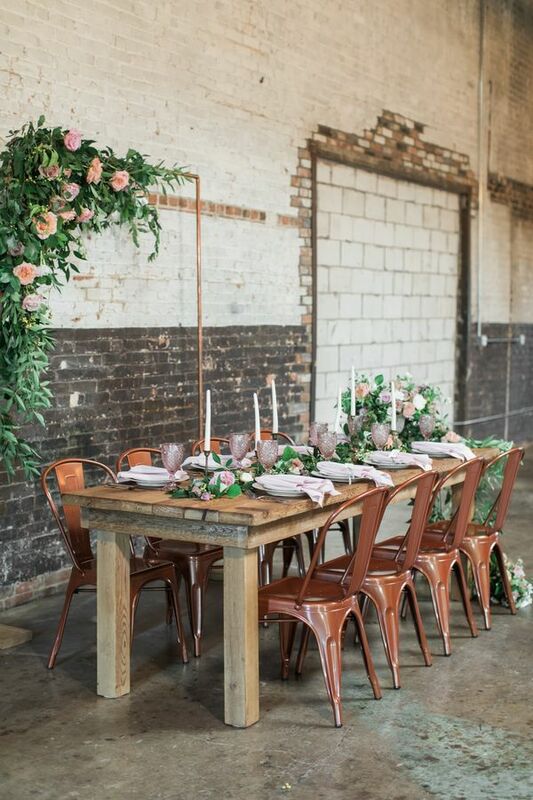 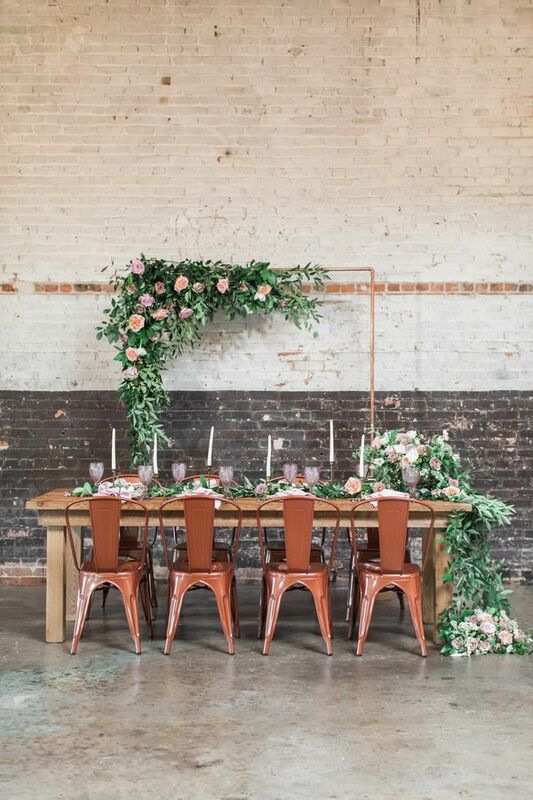 "Brake & Clutch Warehouse in Deep Ellum, Dallas was the ideal setting for our vision with its industrial vibe and plenty of gorgeous natural light." 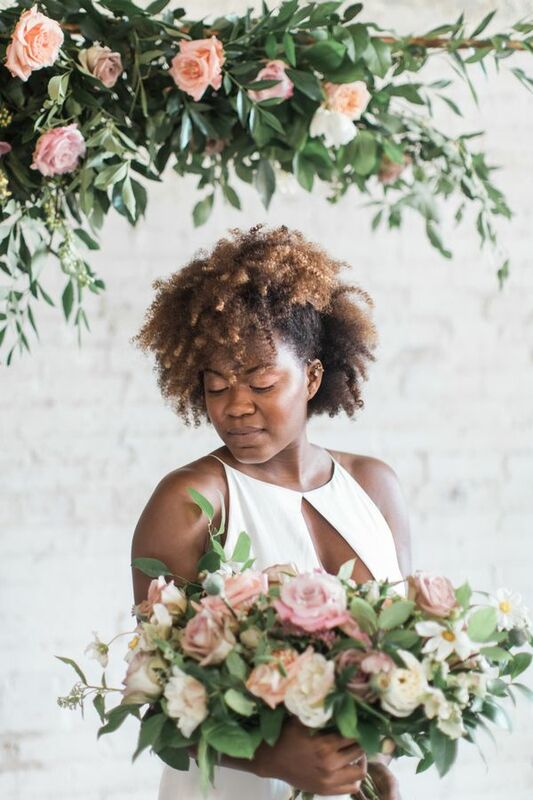 "With our modern theme in mind, we wanted to feature lush florals with plenty of greenery to add an organic feel to these photos." 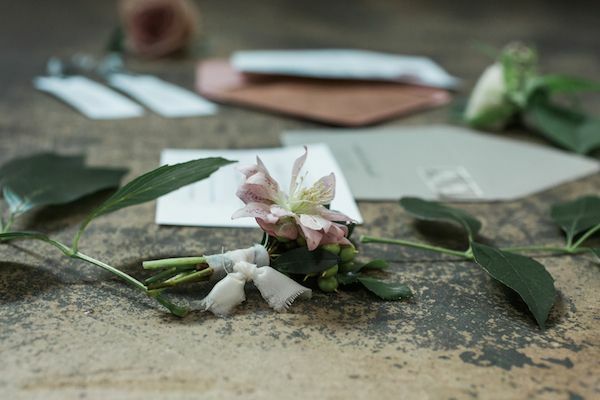 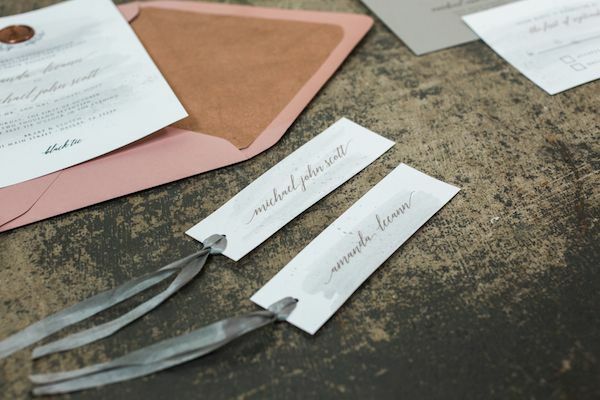 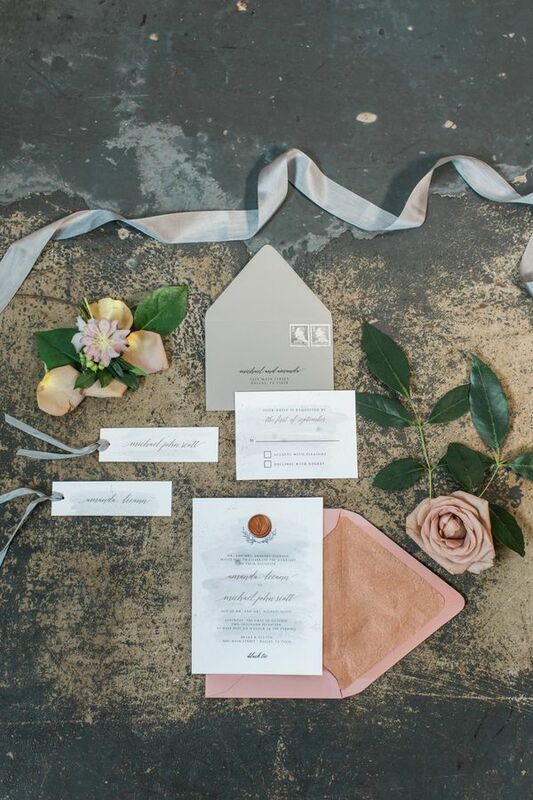 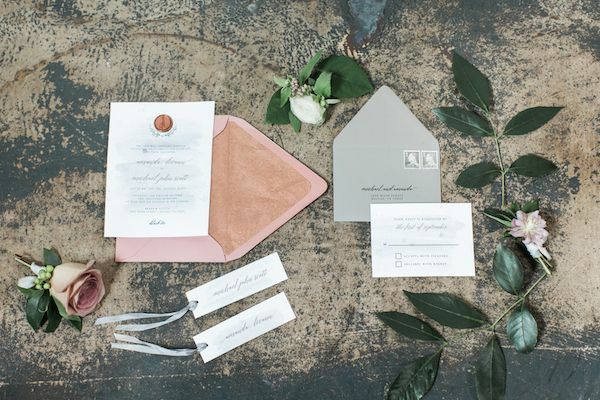 An invitation suite designed by Lane Love Paper Co really set the tone for this dreamy affair. 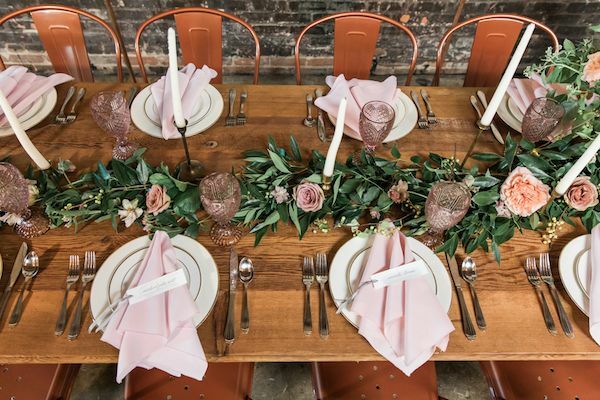 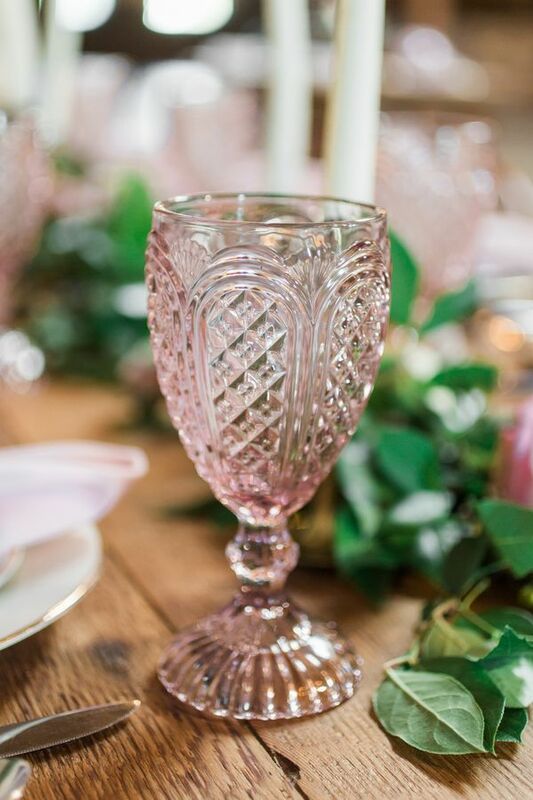 "There were a few vintage elements with the candlesticks and traditional place settings that harkened back to a classic and traditional setup." 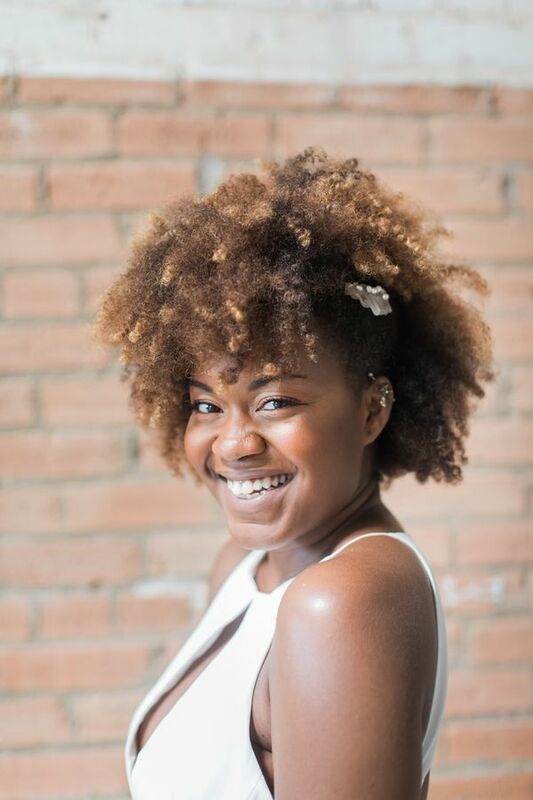 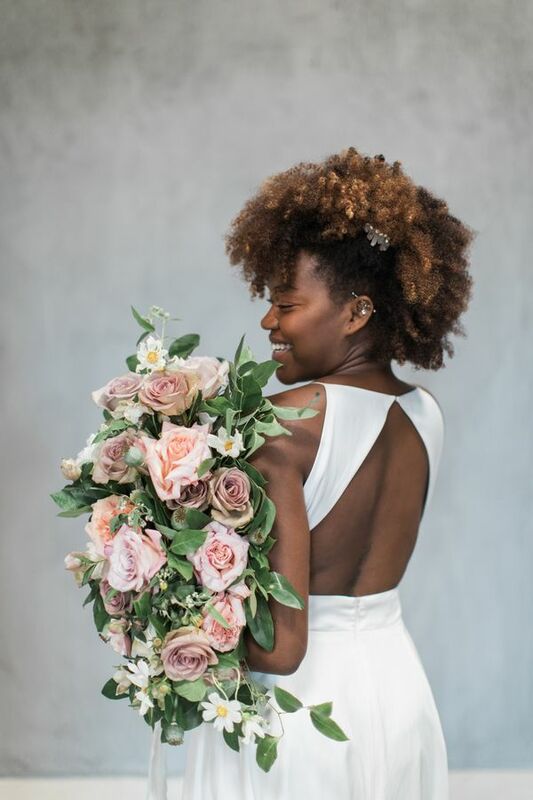 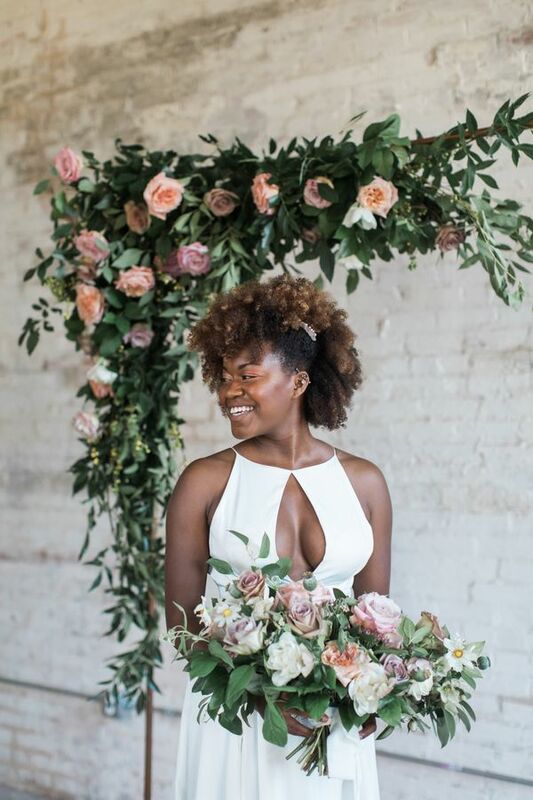 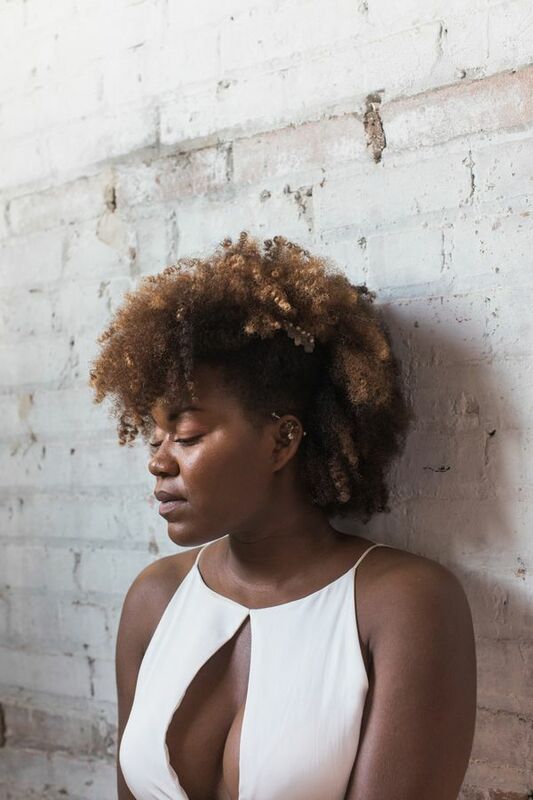 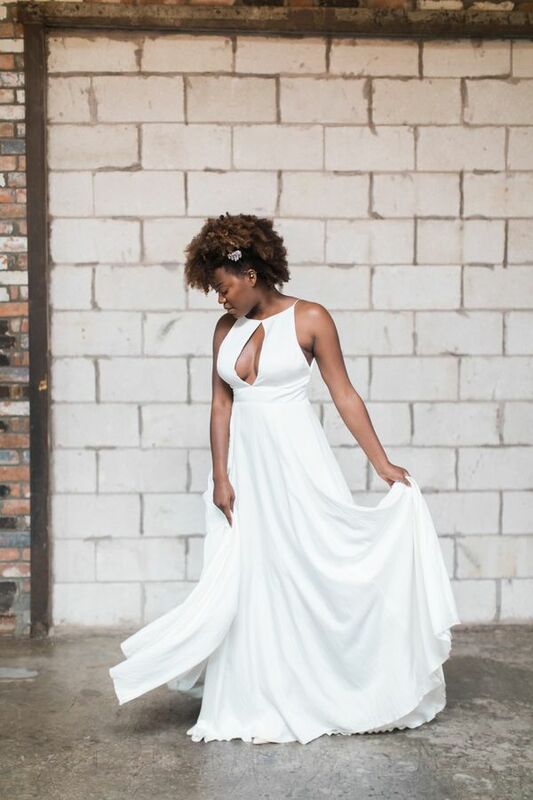 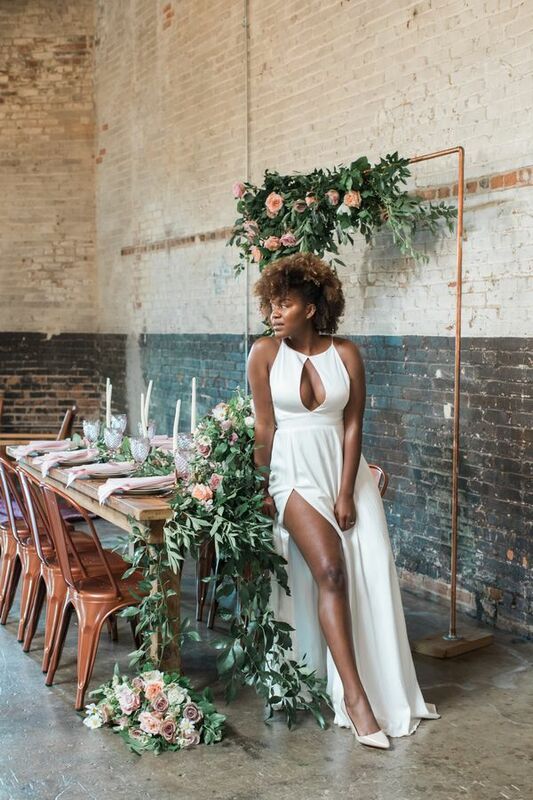 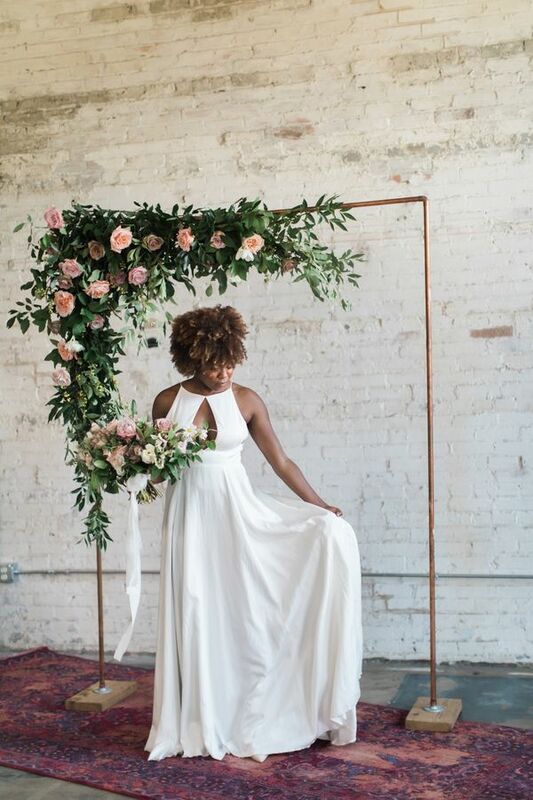 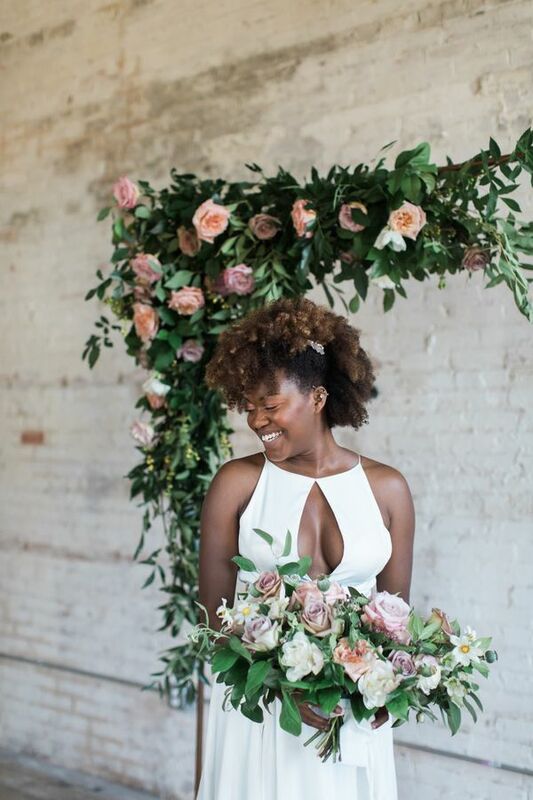 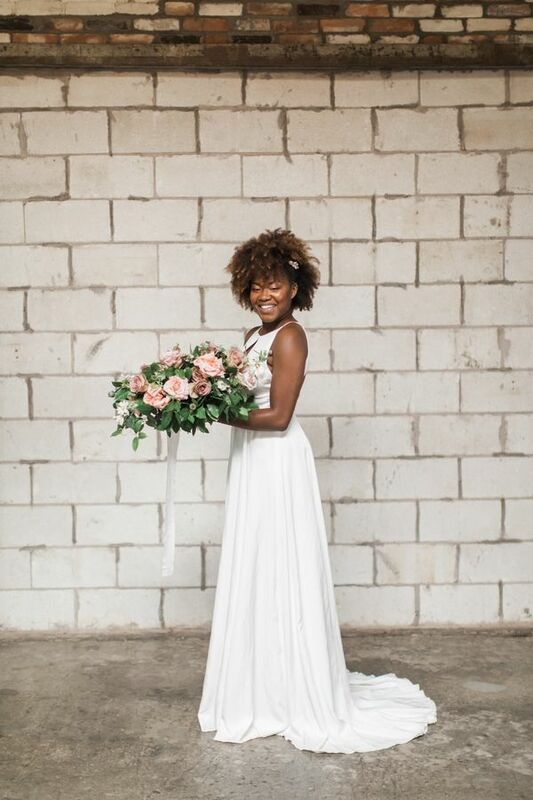 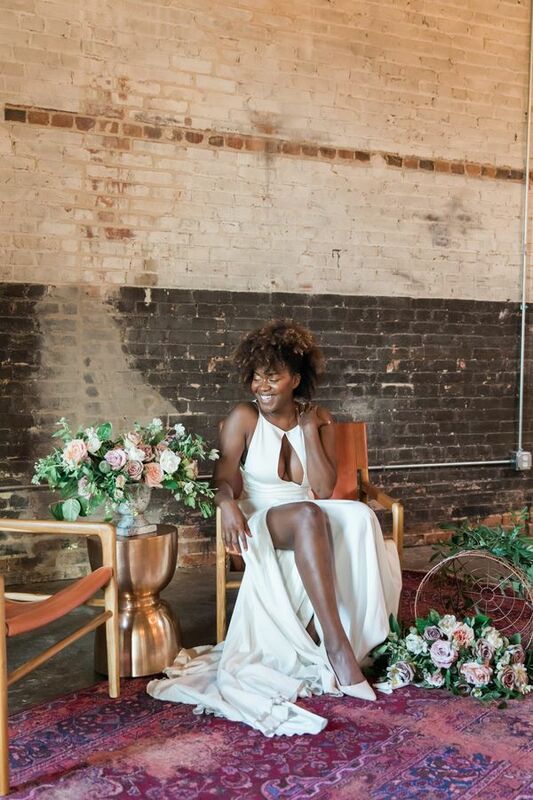 "The dress from a&bé bridal shop fit Marrica perfectly. 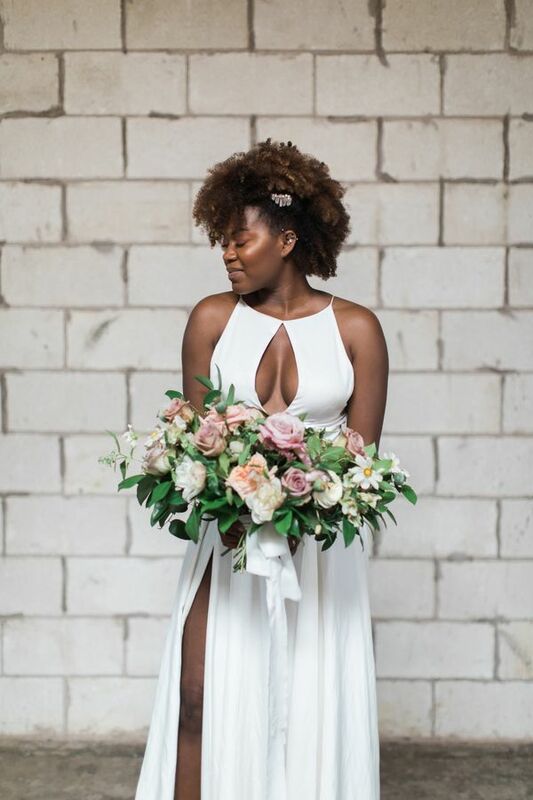 We envisioned clean and crisp lines for the wedding dress and were so happy to feature this style by Rebecca Schoneveld." 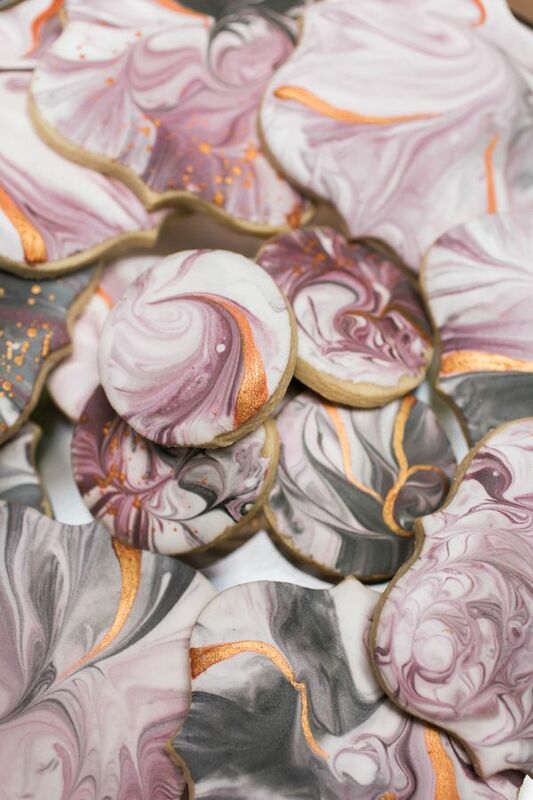 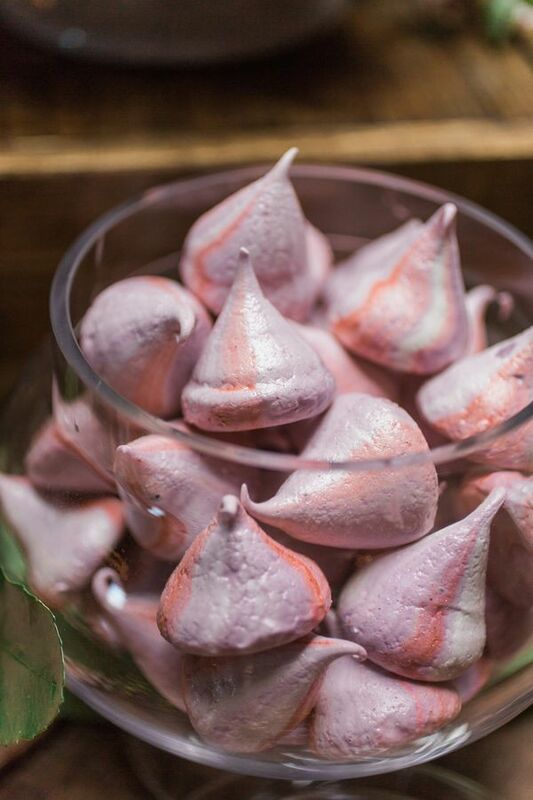 "Amuse Bake Shop styled their desserts with an almost marble appearance." 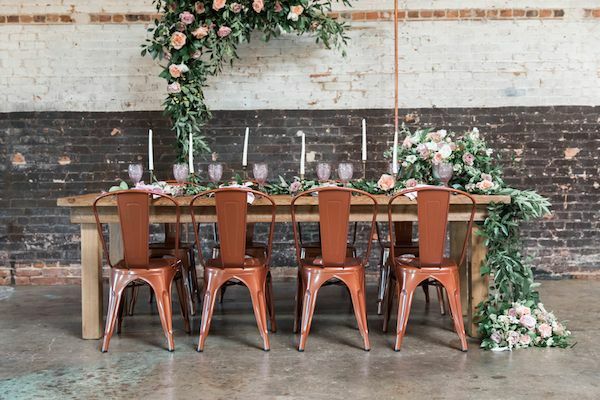 ...while rentals from Beautiful Event Rentals really helped this scene come to life! 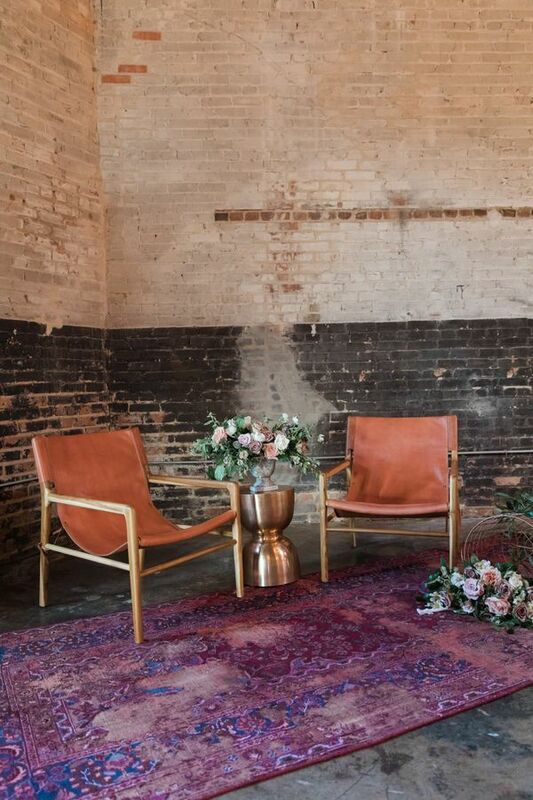 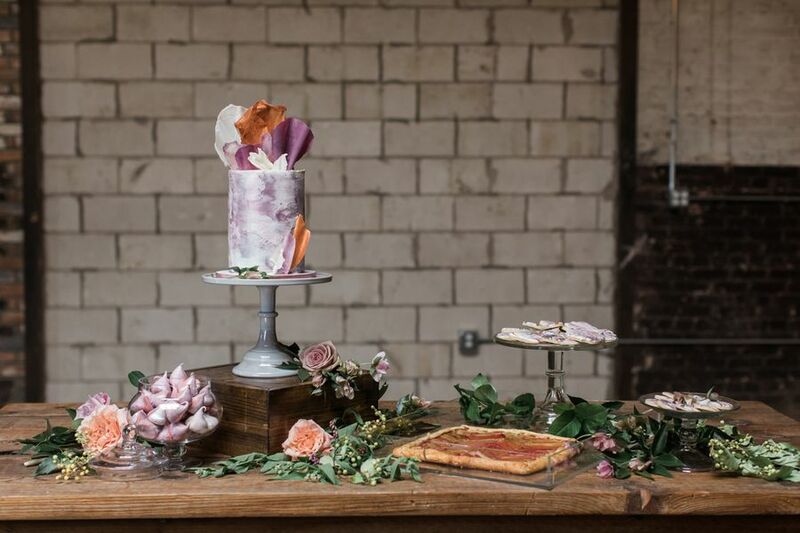 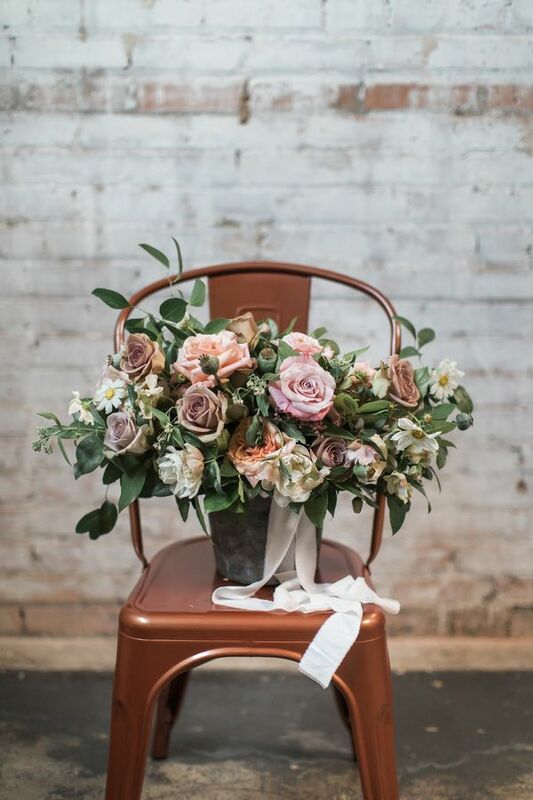 No Comment to " Modern Industrial Meets Rose Gold Romance Wedding Inspiration "